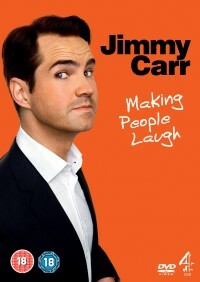 Jimmy Carr is the hardest working comedian in Britain. He has now played to over one million people on tour and sold over a million DVDs. He returns with the release of his most outrageous stand up set to date, Making People Laugh. Featuring over two hours of material that’s too rude for TV. The new show shows Jimmy at his very best and contains over 250 jokes.